Since taking her first accounting class as a student at Notre Dame High School in Lawrenceville, New Jersey, Brianna Cherney set a goal to earn 150 credit hours required to sit for the certified public accountant (CPA) exam by the time she earns her bachelor's degree. This May Cherney, a double major in accounting and forensic accounting with minors in business and theology, will achieve her goal. She has her next nine months planned: graduate in May, spend the summer studying for the CPA exam and begin her job as an audit associate at CohnReznick's Baltimore office in September. Cherney is proud to be walking in the footsteps of her parents, grandfathers and other relatives who also majored in accounting. 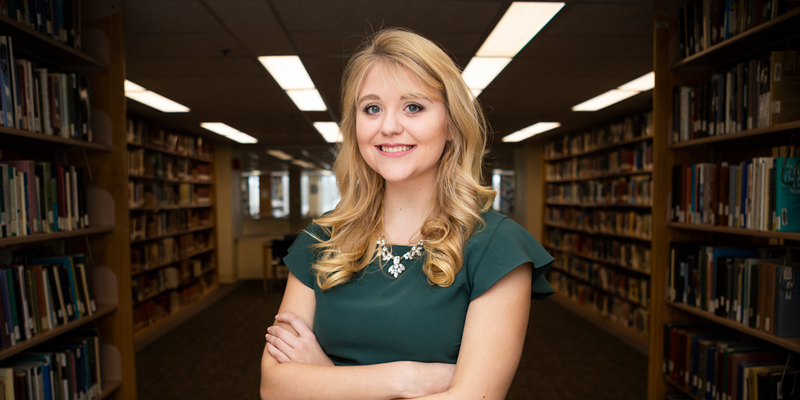 She appreciates the freedom to choose from a variety of courses in the Bolte School of Business and credits the Career Center as being pivotal in her job search. Last year, she had an internship with RLH CPAs & Business Advisors, LLC during tax season. Over the past few years, Cherney attended many recruiting events hosted by the Career Center. Many of the employers were interested in her forensic accounting major, seeing it as an asset to their company. Her process for finding a job and understanding the interview process was much smoother because of the Career Center, Cherney said. Cherney also has been an active member of the Mount community. She is president of the club tennis team after serving as treasurer for three years. She has assisted incoming freshman students as an orientation leader every year and serves as a Mount Ambassador tour guide. In addition, Cherney has been active with the Center for Student Engagement and Success; she helped students at the desk in the library and is now a mentor in a class. Cherney's current internship is with Associate Provost David McCarthy, Ph.D. She takes notes for upper level accounting courses and tutors first year accounting students. In Admissions, Cherney has been a telecounselor since her sophomore year and was promoted this year to student coordinator. She is also a member of the Accounting Club and is a eucharistic minister. Not suprisingly, Cherney has set a new aspiration now that she is on the verge of achieving her college goal. She wants to work her way up to partner. Everyone whom she has come in contact with at the Mount is certain that she will achieve this goal.